No, I don’t, but I do live amongst them. 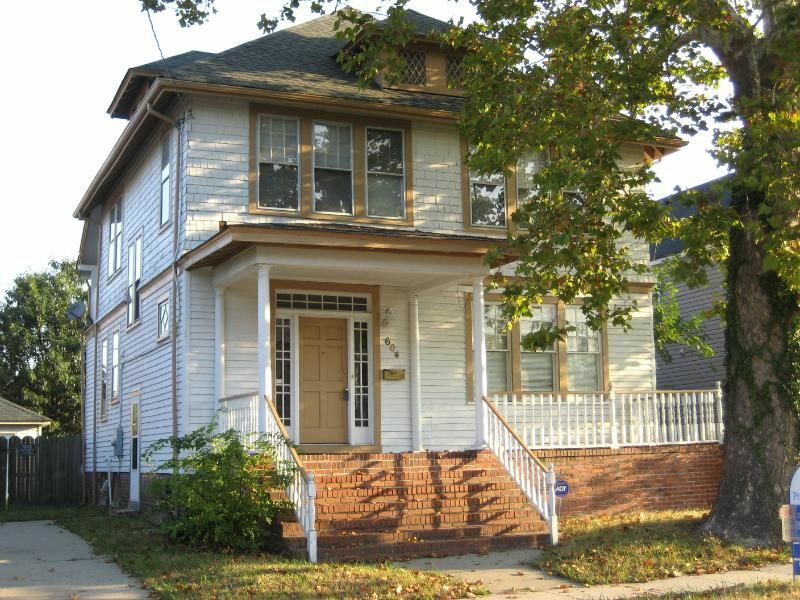 In January 2007, I was married to a Norfolk resident and in February 2007, we moved into a 1925 center-hallway Colonial Revival in Colonial Place. It’s not a kit house, but there are several here in Colonial Place and Park Place (and one in Riverview). Most of the kit homes in Norfolk are not from Sears, but Aladdin. 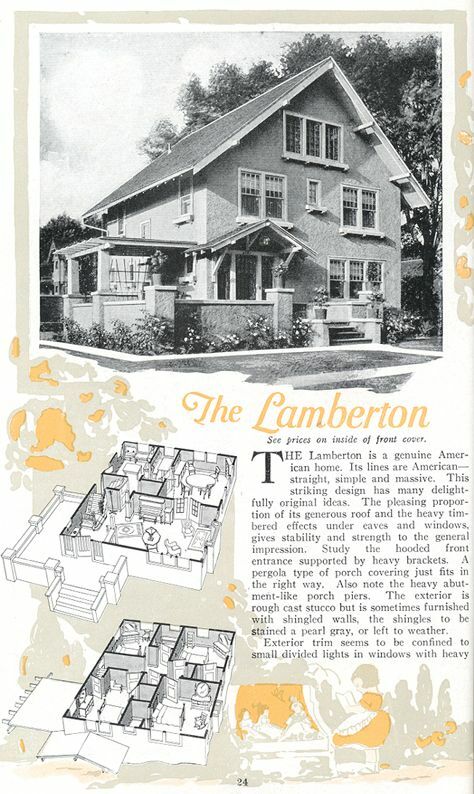 Based in Bay City, Michigan, this was another mail-order kit house company. They had a large mill in Wilmington, North Carolina, so it’s not surprising to find so many Aladdin kit homes in our area. Aladdin Virginia on Virginia Avenue in the state of Virginia! This is one of my favorite kit homes - ever. It's in wonderful condition and it's a spot-on match to the original catalog image! 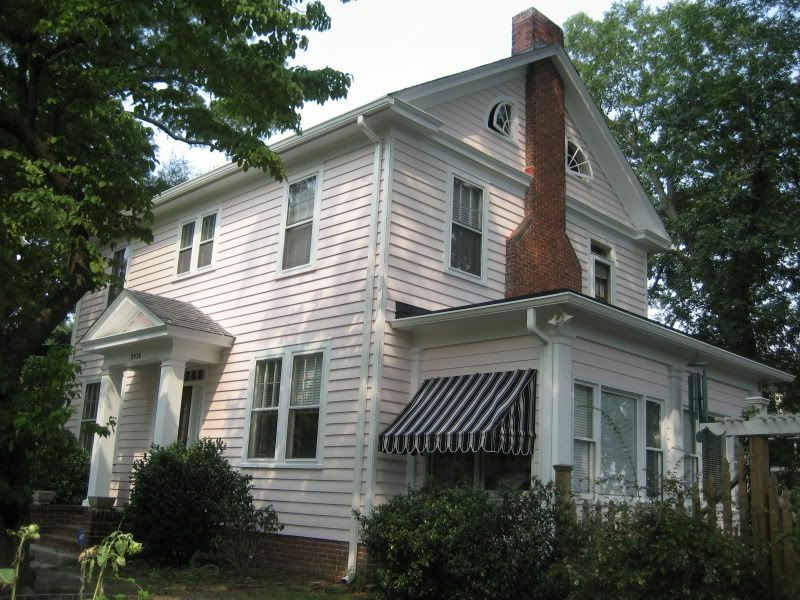 Part of what makes this house such a treasure is that it's in original condition. Aladdin Plaza as seen in the 1919 catalog. An interesting aside: The Pungo Grill in Virginia Beach is also an Aladdin Plaza. Click here to learn more. Perfect Aladdin Plaza. Just perfect. 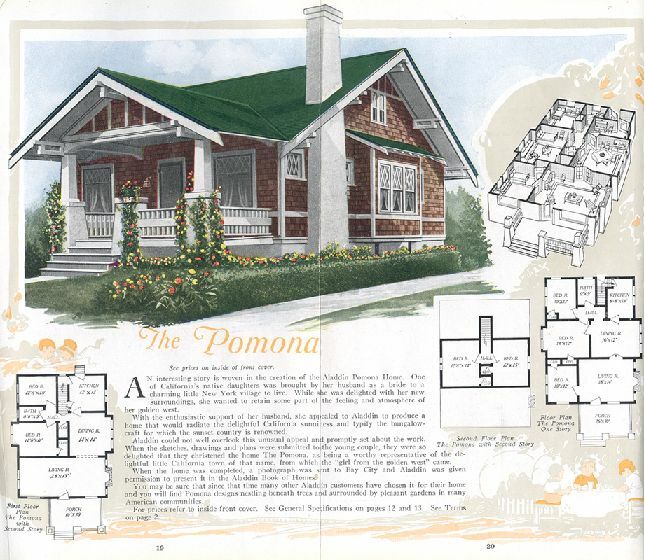 The Pomona (named after the city in California) was a classic Arts & Crafts bungalow. This Pomona has seen some changes in its many decades of life, but still retains its classic lines. 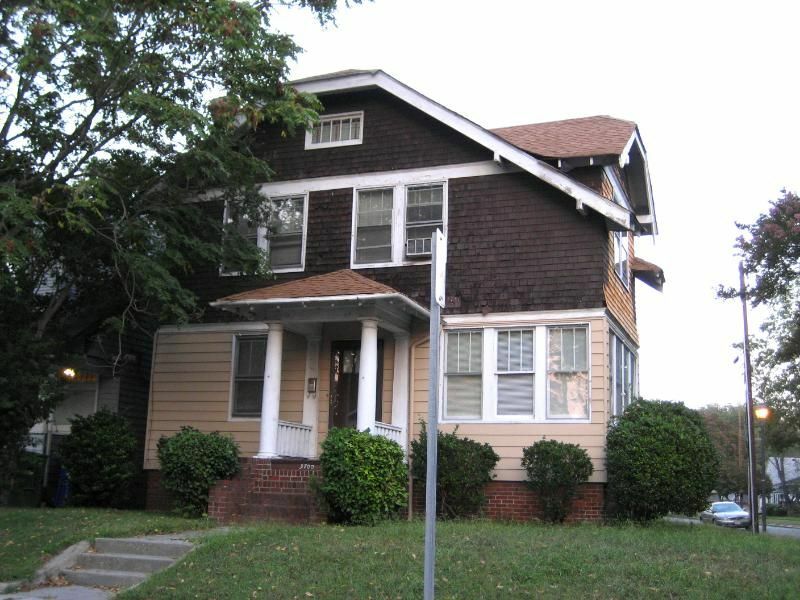 Notice the eave brackets, and compare them to the original catalog picture. The Aladdin Venus was one of their most popular houses. It's had siding added and original railings removed, but this Aladdin Venus still retains many original features. There's a second Aladdin Venus in Park Place on 35th Street. 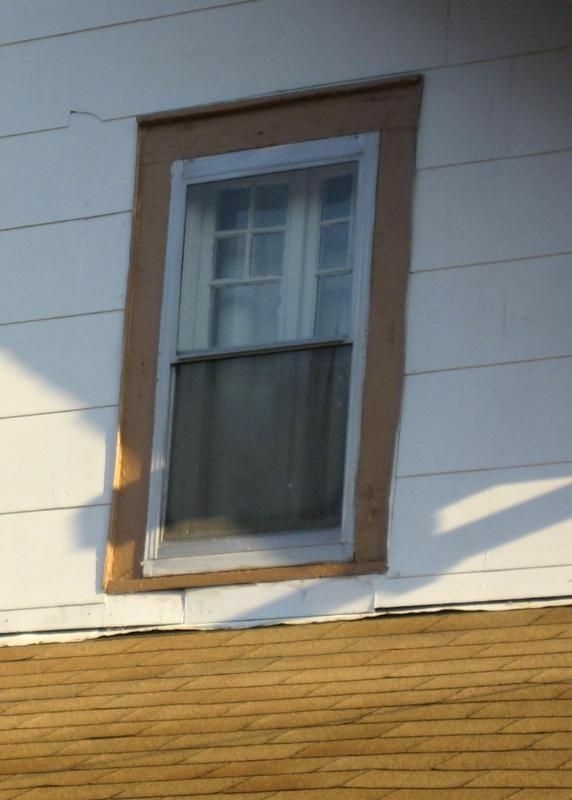 Notice the original wooden casement windows are still in place, now hidden behind double-hung aluminum storm windows. 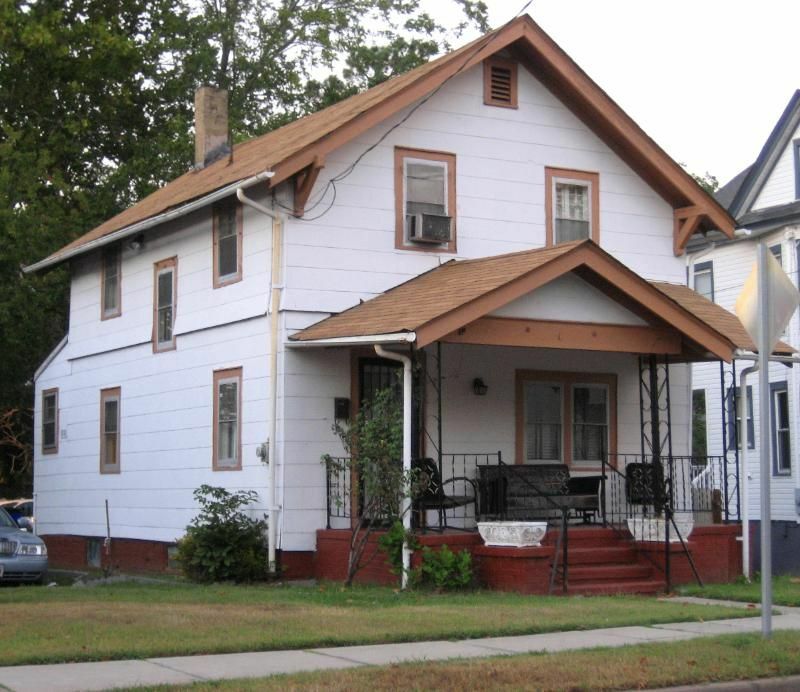 Despite the fact that the front porch on this house is quite different from the Aladdin Sheffield (pictured above), I'm still quite certain this house is an Aladdin kit home. The Sheffield has a number of quirky details that are unusual, and the subject house has each and every one of those quirks. Unfortunately, this is not a great photo, and the angle is wrong. One of the funny features of the Sheffield is the fireplace chimney on the other side. It cuts right through the eaves of the second-floor dormer window (as does this Sheffield in CP). It's done up pretty in brick, and it's had many modifications, but I'm 97.736% certain that this is an Aladdin Lamberton. 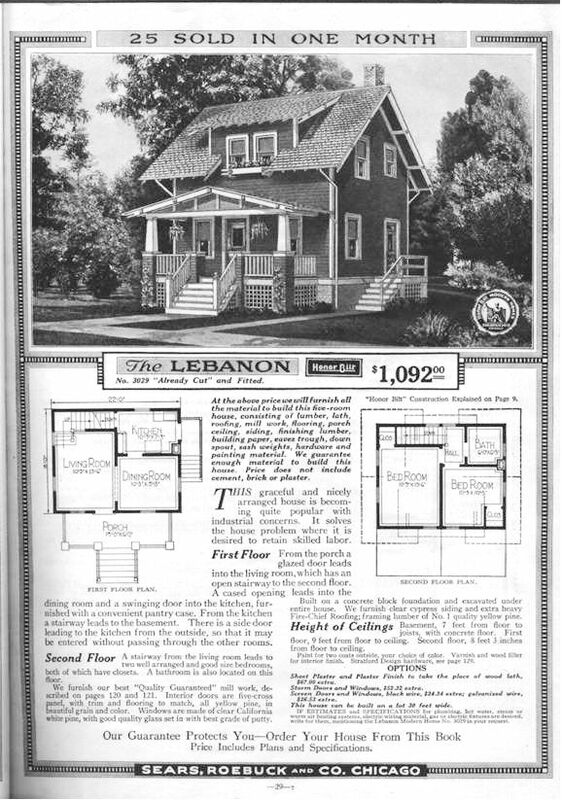 Sears sold about 70,000 houses during their 32 years in the kit home business. Montgomery Ward sold about 25,000 homes. 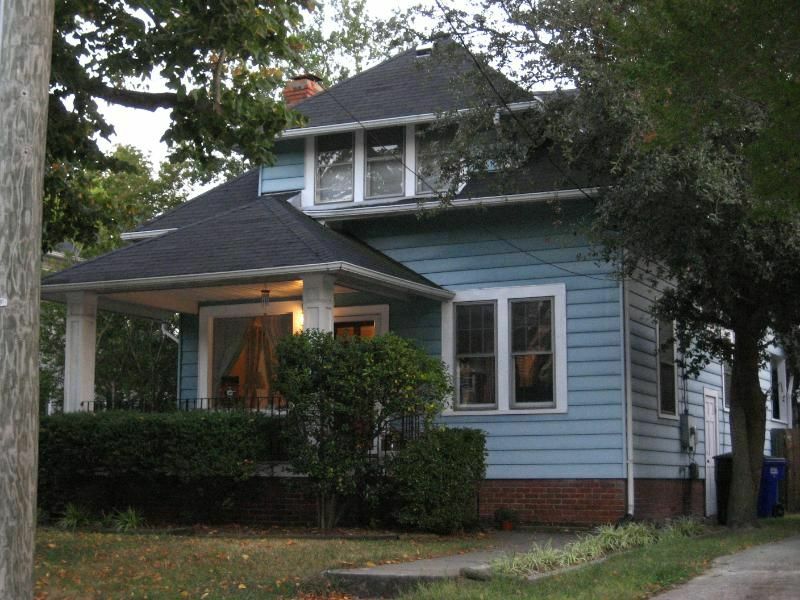 Not surprisingly, there are very few Wardway Homes in Hampton Roads area. 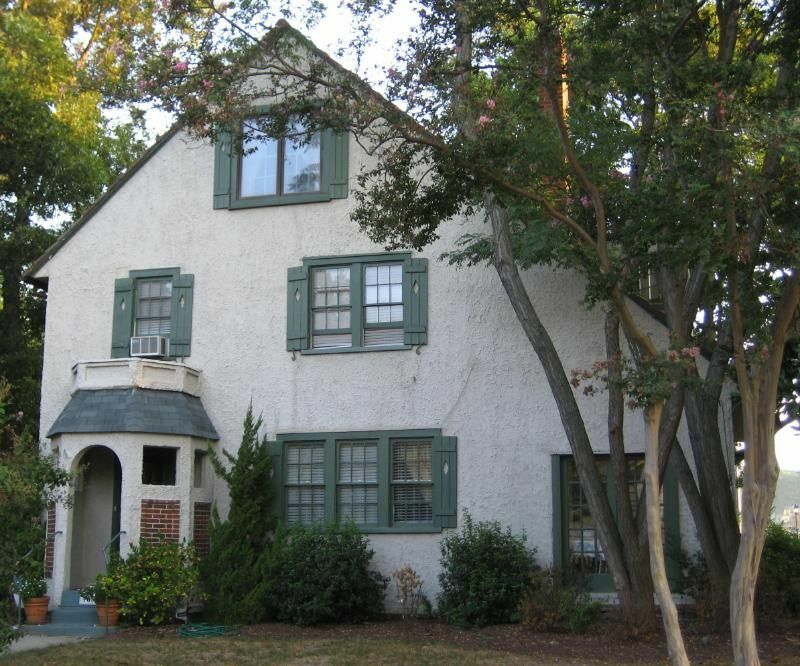 This is the only Wardway House I know of in Colonial Place. 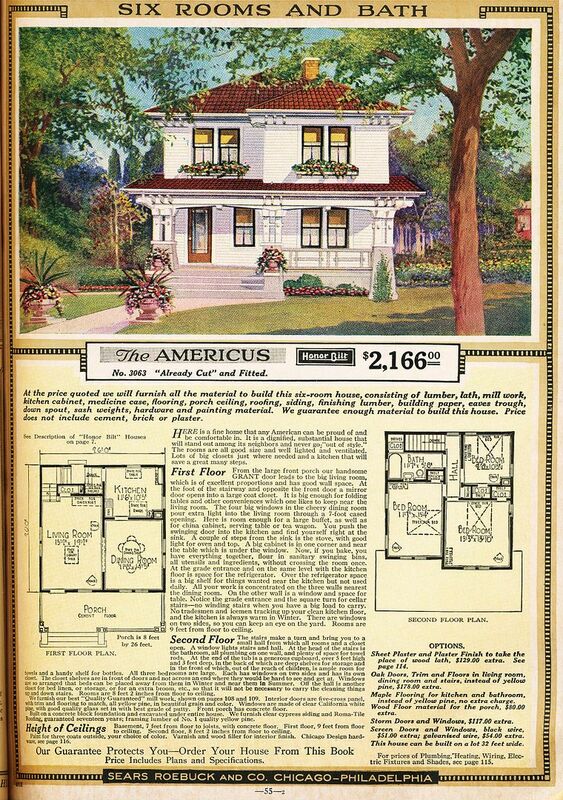 Like Sears, Montgomery Ward also sold kit homes. To learn more about Wardway Homes, click here. Seems like this house should be located on Michigan Avenue, since it is the Wardway Michigan. I've always wondered how we ended up with a Michigan Avenue in a neighborhood named after the 13 original colonies. 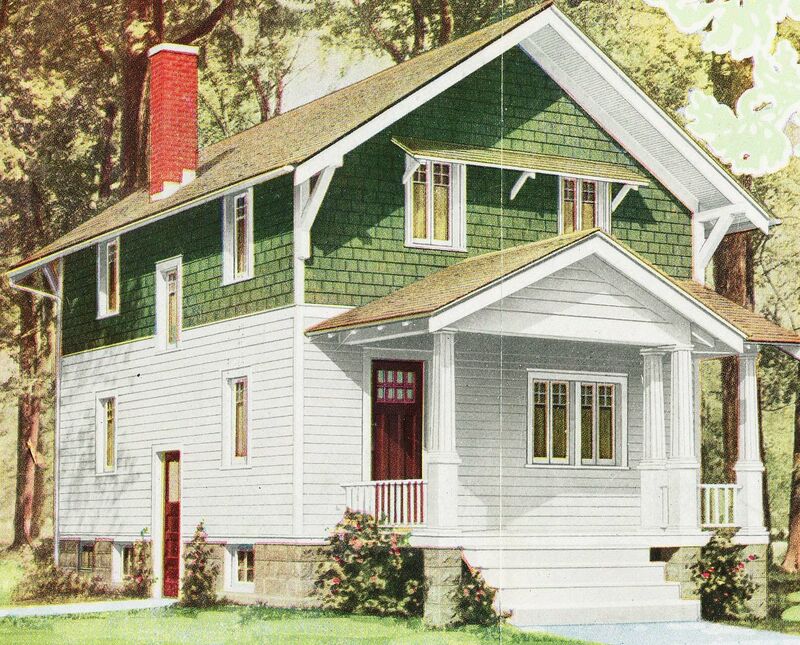 In addition to kit homes, we also have "pattern book houses" in CPRV, such as this "Regent" from a 1926 pattern book. 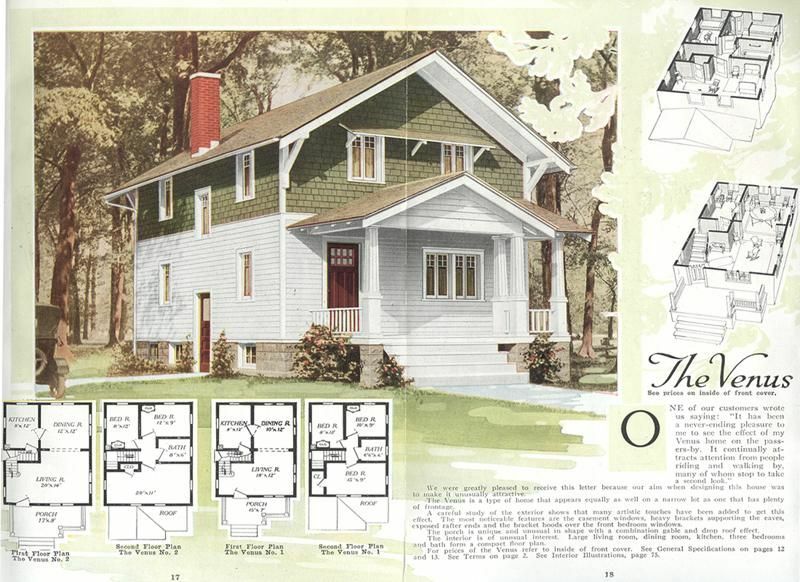 Interested homebuyers would order blueprints from a pattern book. Typically, your purchase price would also include a detailed inventory of all the building materials you'd need for your new home. This "Regent" is a perfect match to the pattern book page (above). THere's another "Regent" in Larchmont. In addition to Sears, Aladdin and Wardway, there was also Lewis Manufacturing. 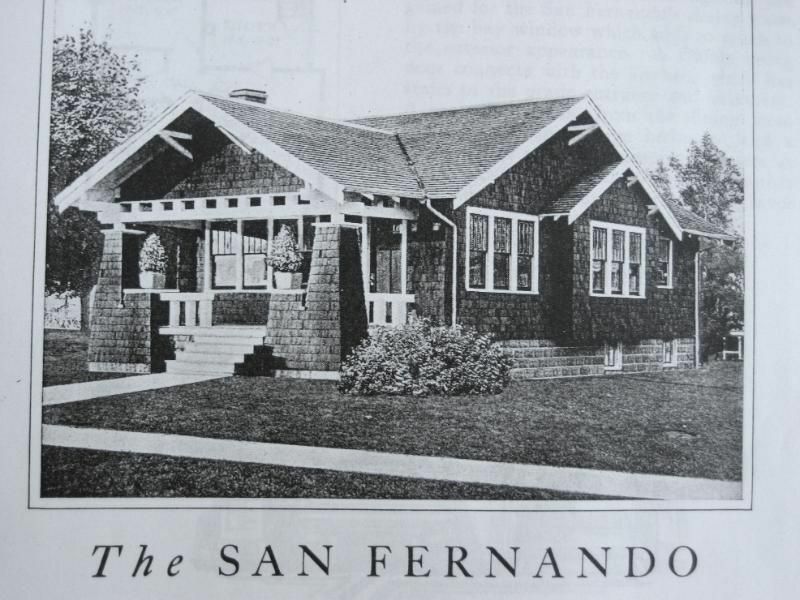 Here's a Lewis Manufacturing kit home, The San Fernando. 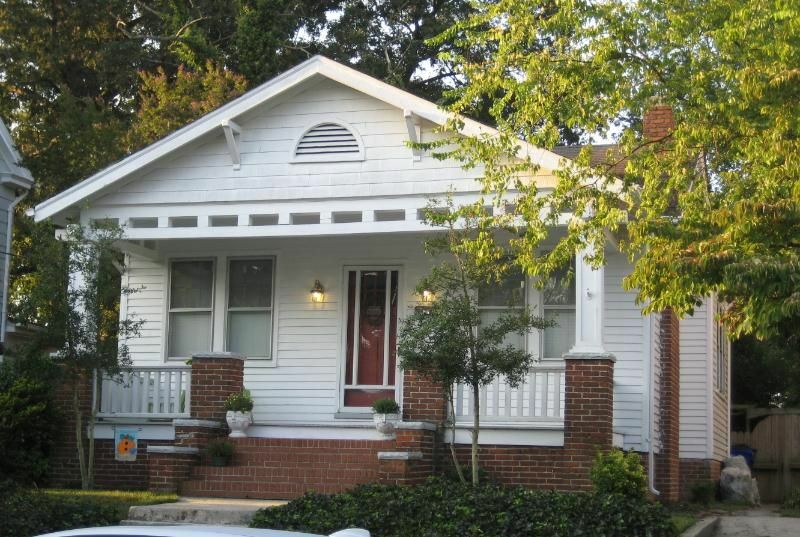 BTW the bungalow craze started (in the early 1900s) in California, hence all the Californian names for these bungalows! Is this a Lewis San Fernando? Hard to tell for sure, but it sure looks like it. However, this is precisely why it's so difficult to identify kit homes. Closeness does not count. Precision does. 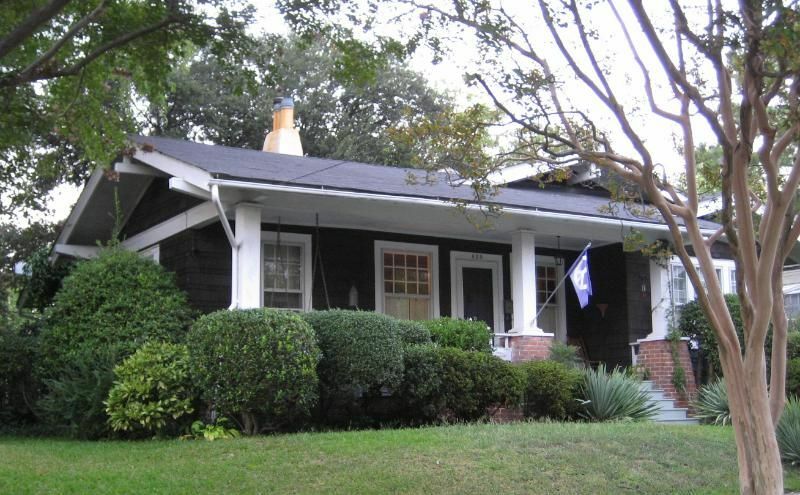 Like Colonial Place, Park Place also has several kit homes. 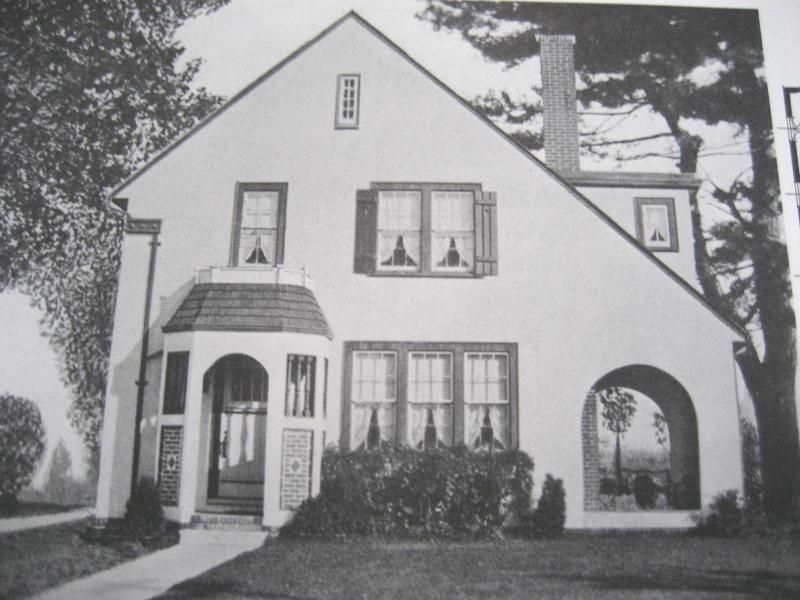 This house (see picture below) was from Gordon Van Tine, a kit home company based in Davenport, Iowa. 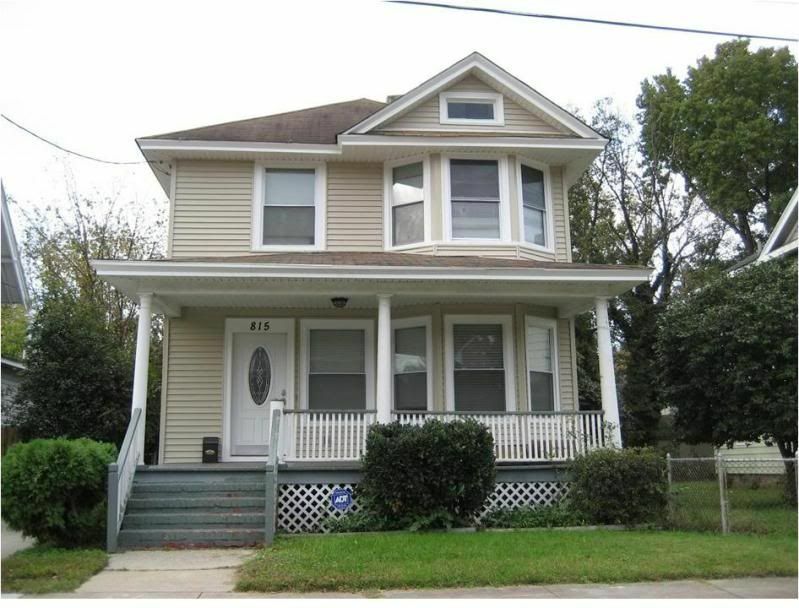 As you can see from the original catalog picture, it was a fine and spacious home. 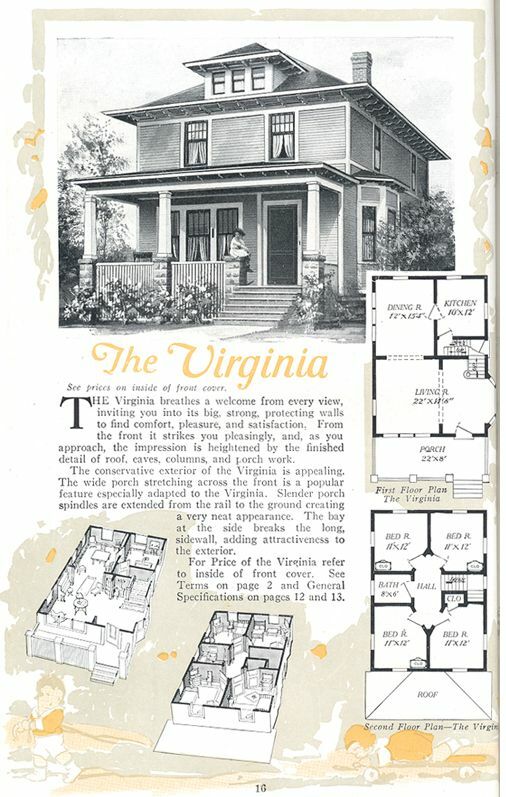 The ad promises that this is an "exceptionally well planned" home! Is this a Gordon Van Tine #703? Again, without inspecting the home's interior, it's hard to be sure. Another spacious foursquare is the Aladdin Wenonah. 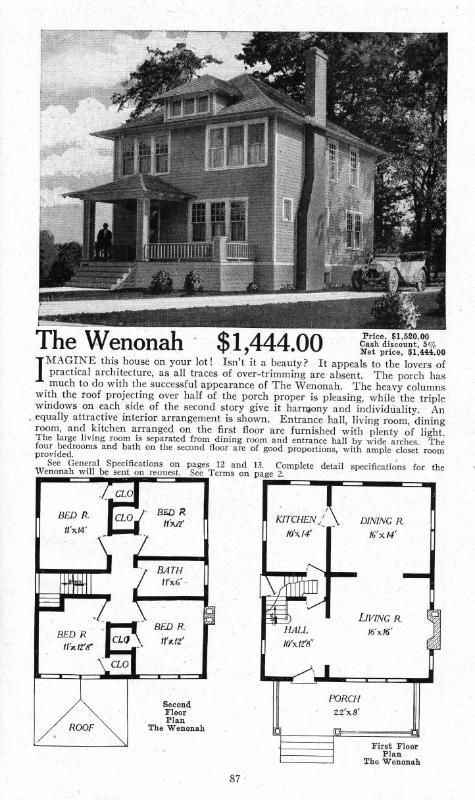 The Wenonah was an unusual home and this is the only one I've seen in my many travels. It's in Park Place. 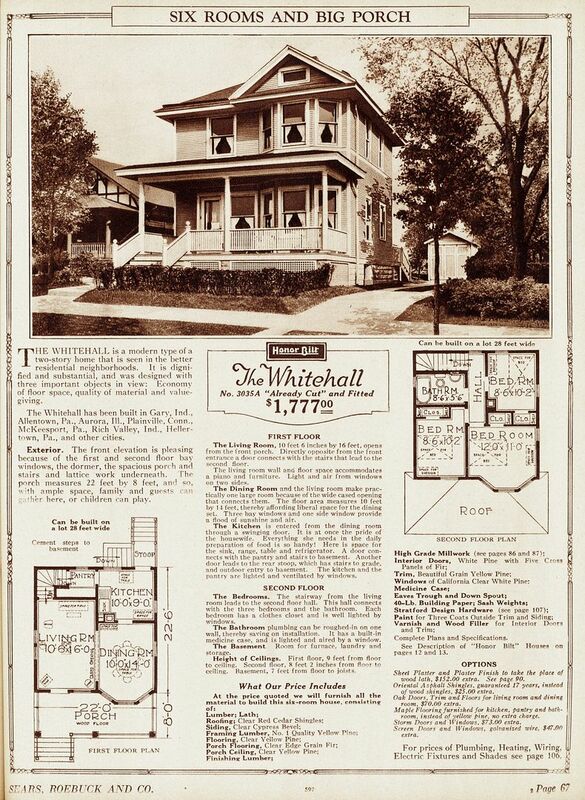 Sears Whitehall, as seen in the 1921 Sears Modern Homes catalog. Whitehall in the flesh on 26th Street. Sears Lebanon. 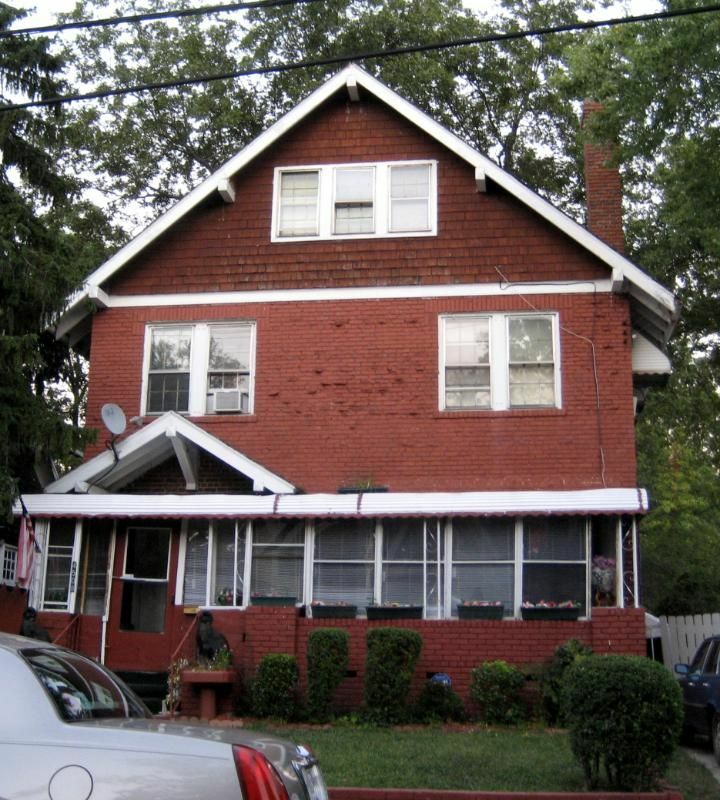 Note the flowerbox in front of the second floor windows. Sears Lebanon on 26th Street. This Lebanon is missing its flower box, but still has the wooden support brackets jutting out from the wall. This Sears Americus still retains so many of the unique features that make it so distinctive. 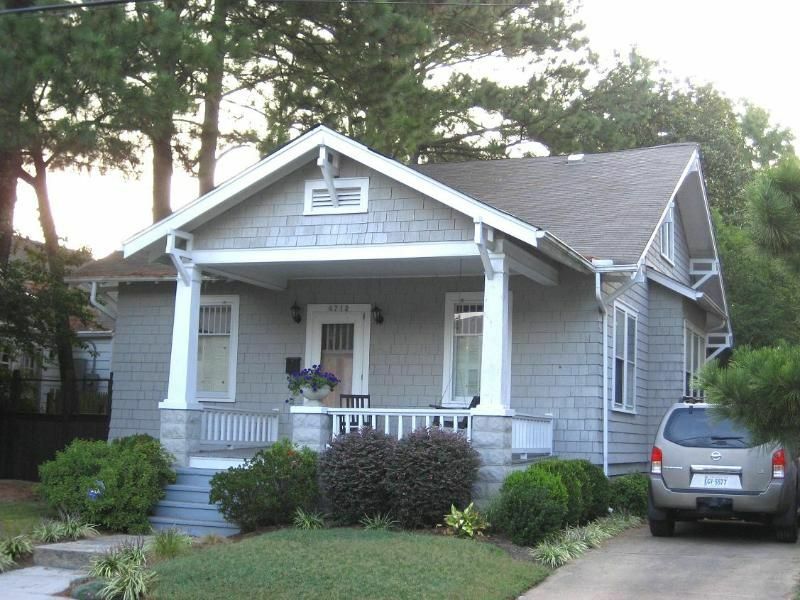 Notice how the front porch roof extends well beyond the home's width? And the second floor juts out a bit (on the right) but the first floor is flat across the front. Unfortunately, those eave brackets have been covered in great gobs of aluminum. Ick. 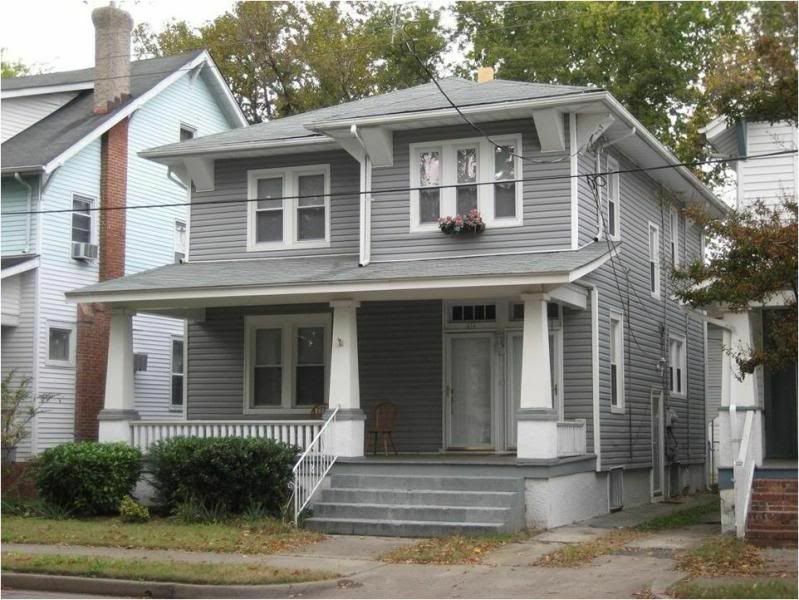 This house has been converted into a duplex (sigh) and is on a main drag in Park Place. My pretty pretty house on Gosnold is not a Sears House. 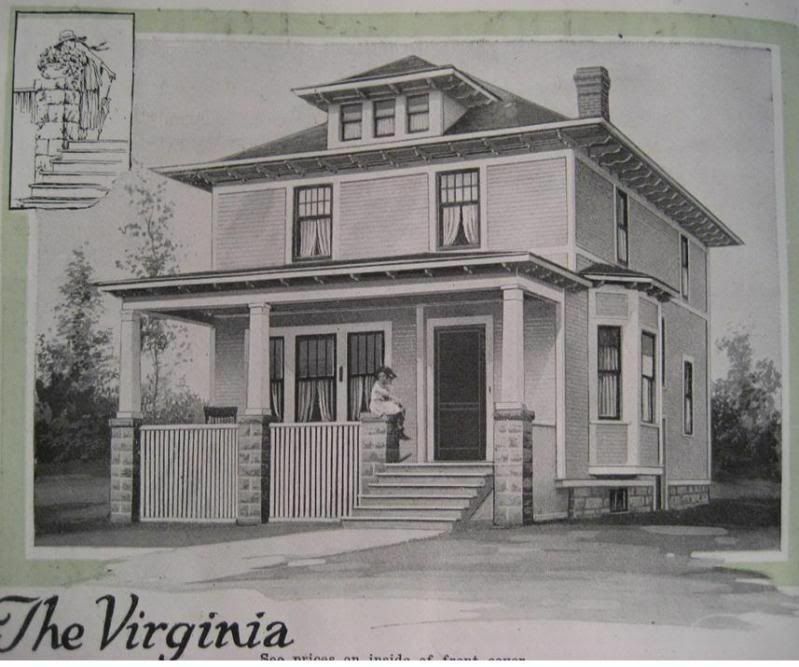 To read about the Sears Homes in Hampton Roads, click here. To buy Rose’s book (and get it inscribed! ), click here. 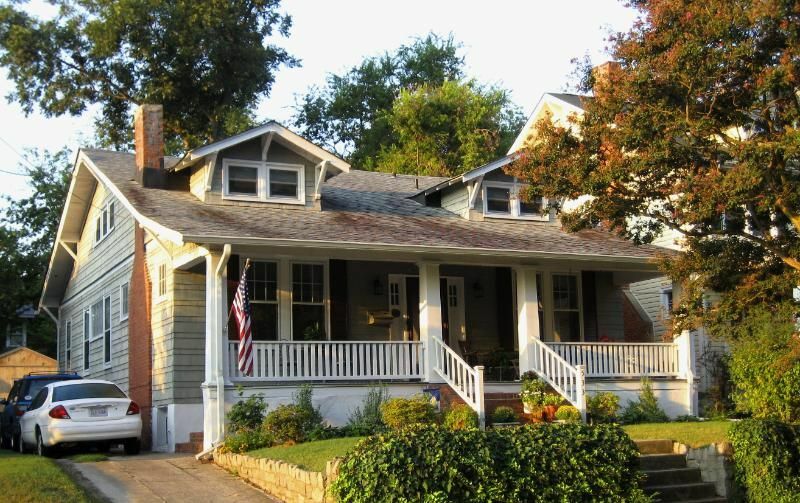 It’s great to see all these wonderful historical homes right in our own backyard and on our street! You should look at the Wardway(Montgomery Wards) catalogs. 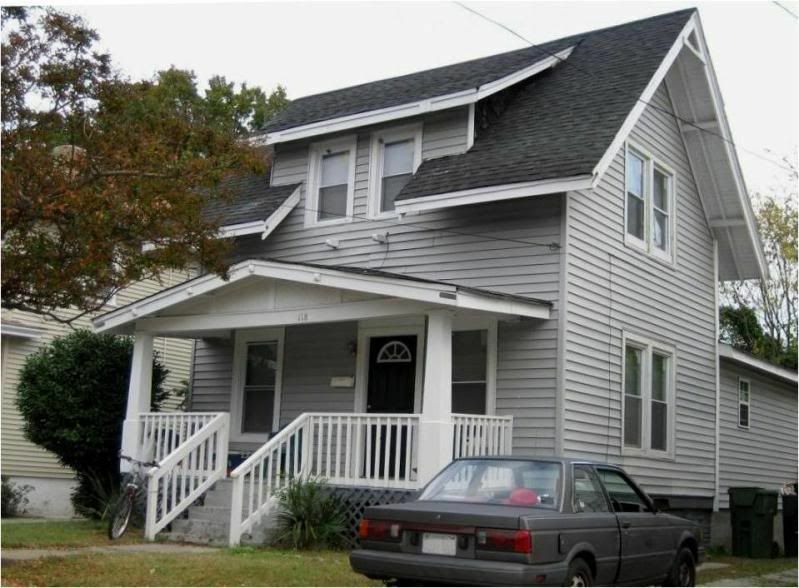 There are some designs that look like Colonial Place houses. I have not found my house in a catalog. But there are 3 very similar houses that I know of in Norfolk. Rose’s Reply: I wrote the book on Montgomery Ward kit homes. Really. You can buy a copy here. 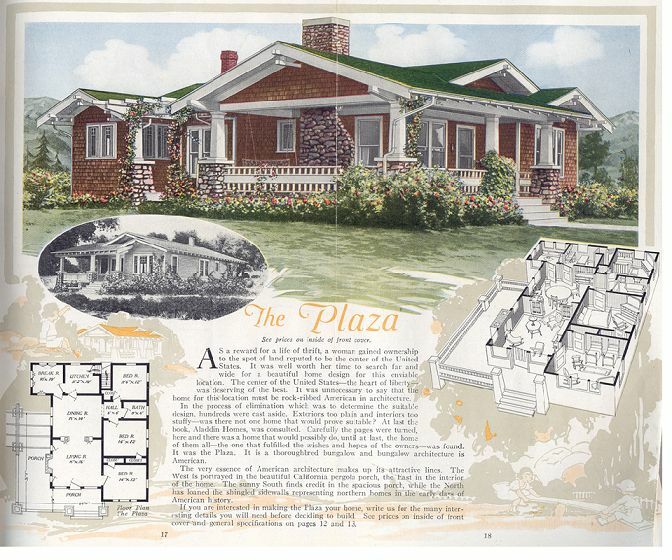 Dale Wolicki and I invested five years researching and writing The Mail-Order Homes of Montgomery Ward. It’s a 350-page treatise on Wardway Homes. I’m confident you’ll not find a Wardway kit home in Colonial Place that I’ve missed. 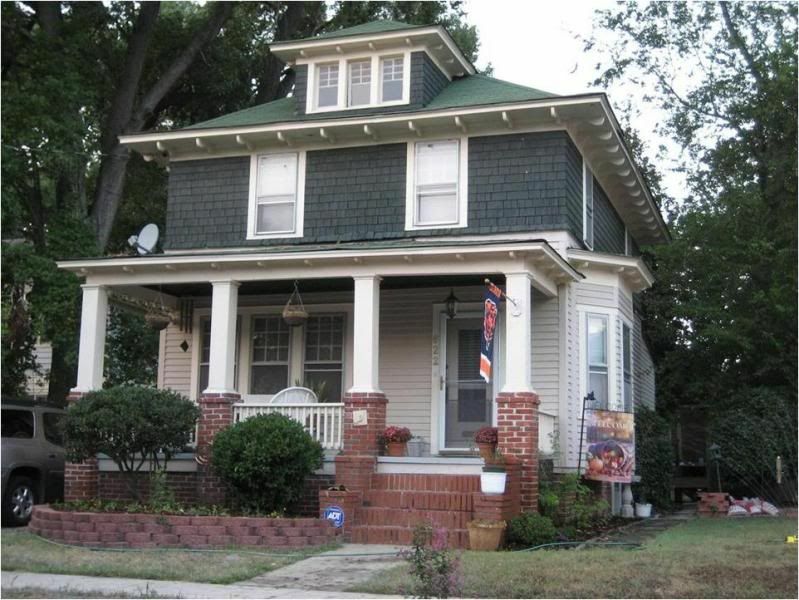 We have a Regent in Tulsa, Okla. it’s located at 315 E 18th. Good Eye Gemma! That’s a Regent! Dale — we’ve lived here 21 years, and that front porch had always intrigued me. 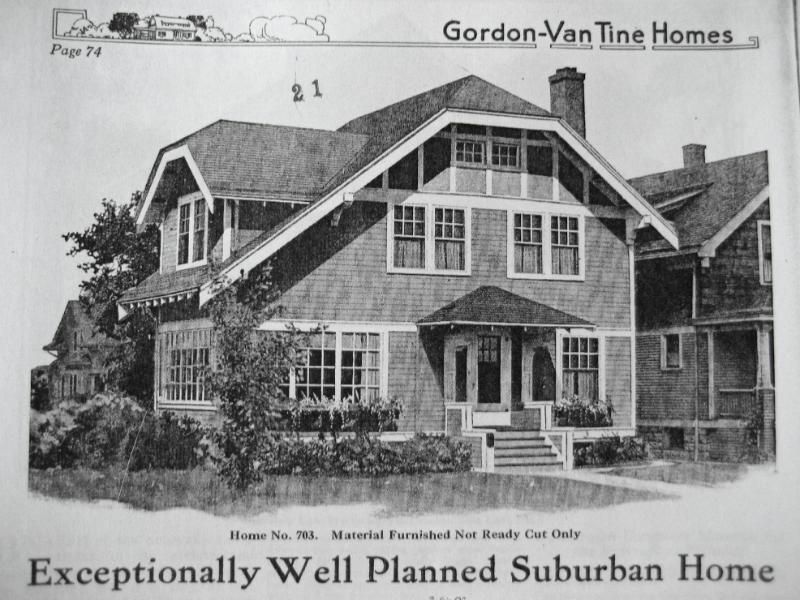 A local historian wrote a book about our local houses, and many are from kits or plan books. Unfortunately, I never got a copy of the book. 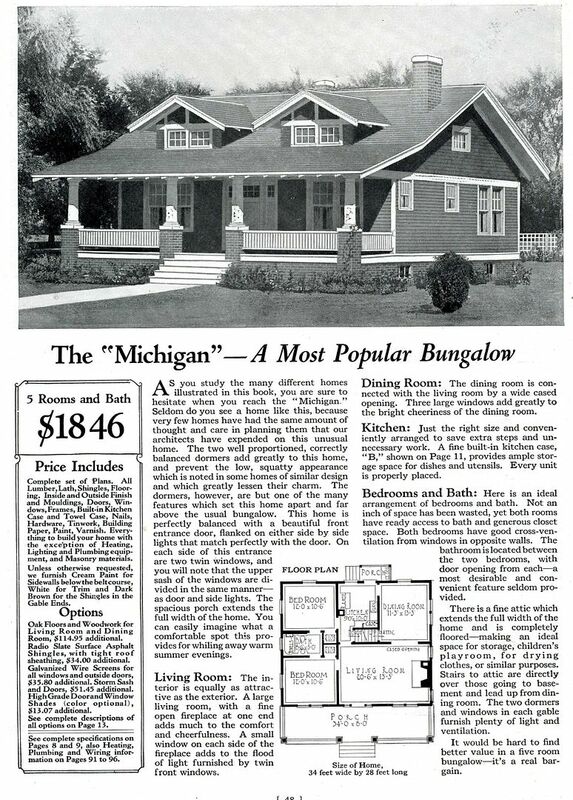 As of late, I began going through Rose’s Sears Homes archives, and I found the Regent. What fun! 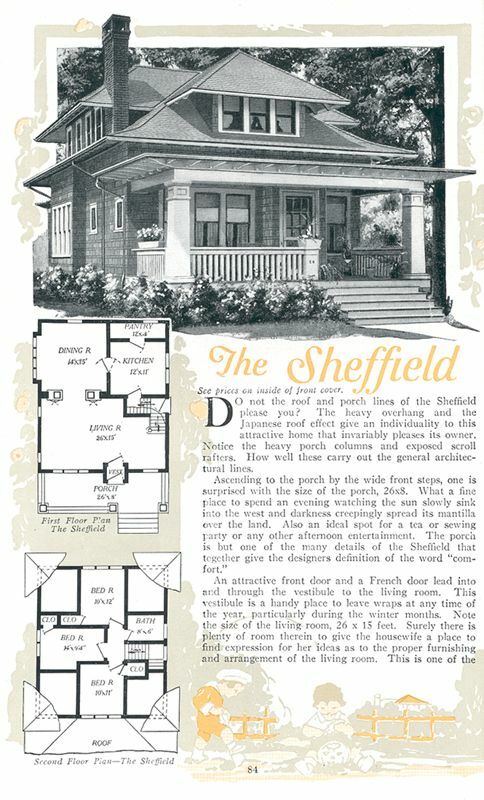 I recently purchased the home pictured above as a Sheffield, I am still researching the original manufacturer and had thought it was a Harris Brothers L-1520. I would love to send you some updated photos if you’re interested.